﻿ May Release of Exselo Desktop Ready! 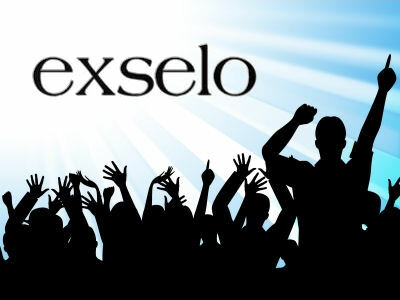 May Release of Exselo Desktop Ready! The latest release of Exselo Desktop provides business users with even more control of how information they use in their daily life should surface when needed. In order to be able to find needed information through search the relevant data must first be indexed. Instead of indexing everything found on a computer, better search results can be achieved by specifying where your interesting and relevant data is stored. On a fine-granular level, and in an easy way, Exselo Desktop lets users specify exactly where data to be indexed resides. Users may also specify how important that particular data is to index and keep updated by assigning indexing priority to the data source. In addition to improving the level of user control of data indexing, the new version of the product makes data searchable faster, uses less system resources and gives the user better control of the actual system resource usage. Many small and some bigger improvements in the tools user interface have taken the overall user experience to the next level. Examples are auto-complete functionality when entering queries, multi-dimensional sorting of items in the search results and effective access to your user profile within the tool. Finally, a significant effort has been put into making this version of the product robust, stable and truly ready for professional use. We are convinced that this version is rock solid, and that our users will love all the improvements we have made!